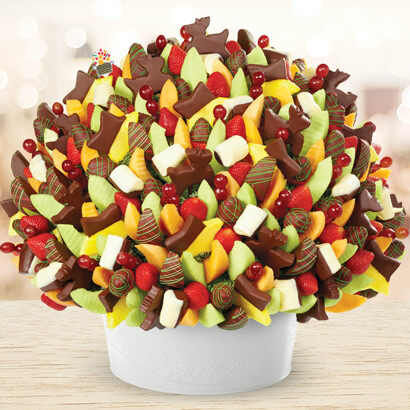 A holiday Edible Arrangement is sure to brighten the season, and Edible Arrangements of Paoli has a variety of options! Holiday Swizzle Berries and Mixed Fruit Boxes: Choose from chocolate dipped pineapples and strawberries, dressed up for Christmas or Hanukkah. Bouquets: Edible Arrangements offers a wide array of bouquets to choose from. They can do crazy things with the pineapple! Try this tropical favorite in the form of stars, white chocolate-dipped doves, milk chocolate reindeer, and fresh pineapple daisies. Check out their holiday selections online. In addition to placing your order online, you can also order in the store, or by phone at 484-321-8500. May your days be merry and bright, and may all your arrangements be edible!